Dr. Tracey is a graduate of the New York Medical College, Valhalla, New York. He completed his residency with The Miriam Hospital/Brown University, Providence, RI. Dr. Tracey is board certified in Internal Medicine and Gastroenterology with the American Board of Internal Medicine. 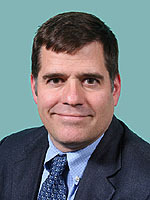 He is a member of the American College of Gastroenterology, American College of Physicians, New England Endoscopy Society, and the Massachusetts Medical Society.